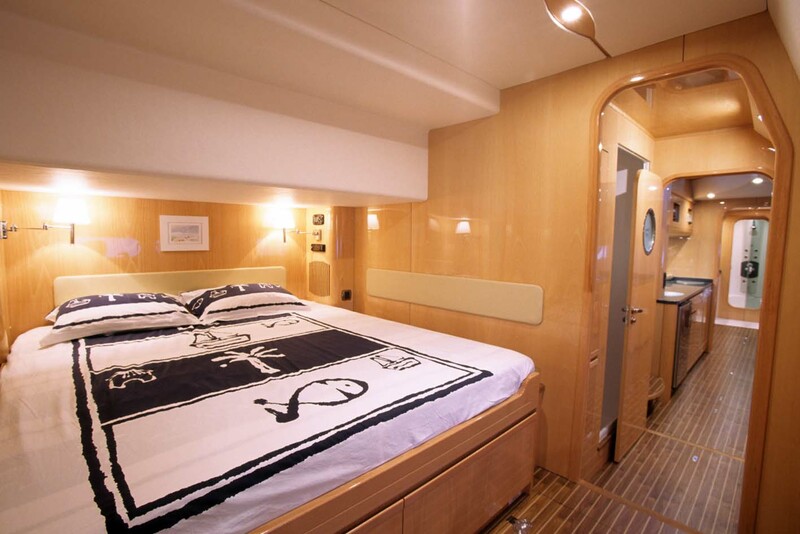 Luxury crewed private catamaran, Tiputa is a large elegant and graceful Privilege 58 catamaran offering privately crewed charters in the Caribbean and Mediterranean. 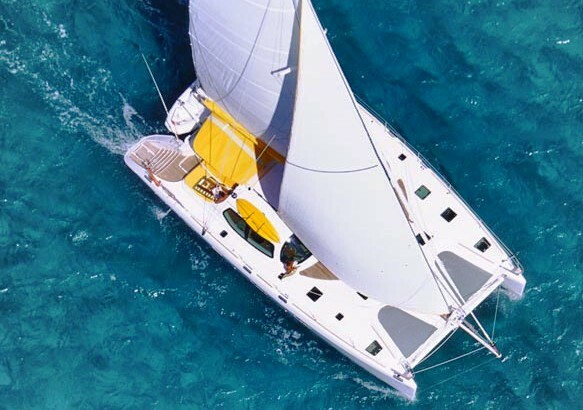 This stunning luxury catamaran boasts all the amenities of a modern cruising catamaran whilst easily attaining the highest possible standards for optimum cruising in relaxing comfort and safety. 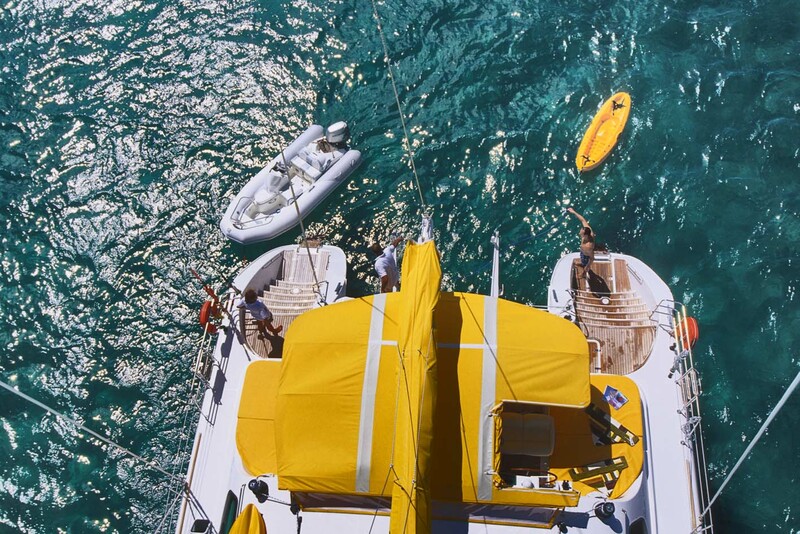 Tiputa is an exceptionally designed and beautifully crafted luxury charter yacht and one of the finest available in this size range in the Caribbean. 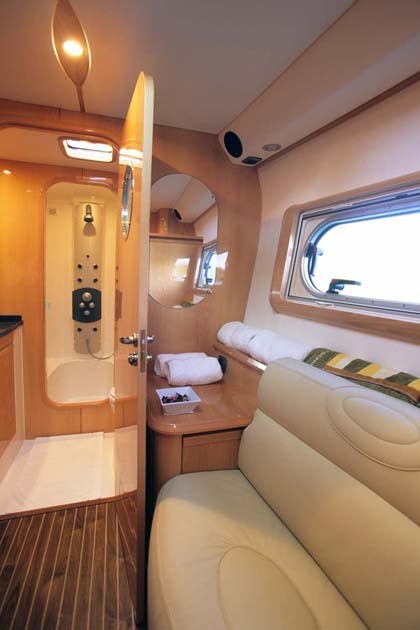 Tiputas interior is totally air-conditioned and features contemporary light beech wood styling throughout. 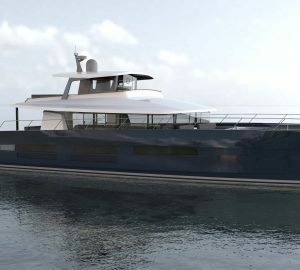 She has been designed with cruising in exotic locations in mind. The salon is a spacious, offers plenty of headroom and is a comfortable area in which to relax over a meal or escape the afternoon heat. 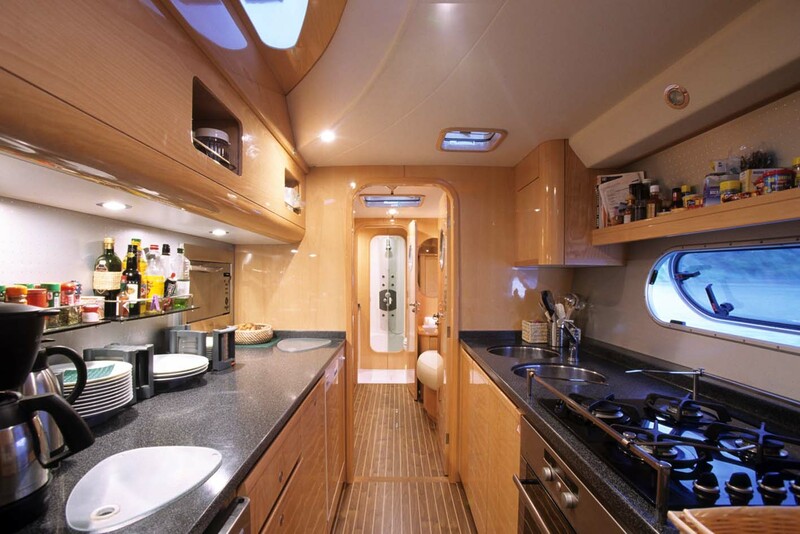 Her sleek leather upholstery and generous windows offer her guests plenty of light an opportunity to take in the wonderful sea views. 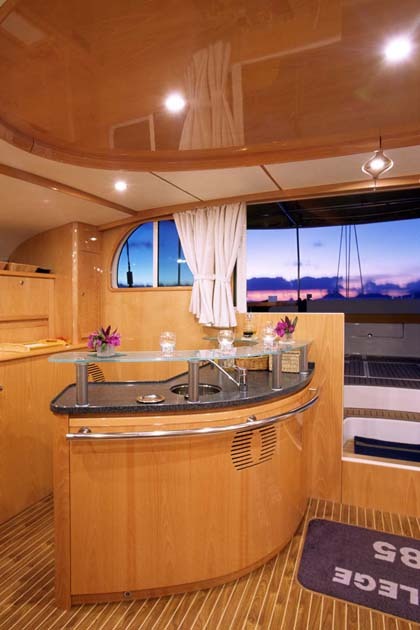 Built and maintained with the discerning client in mind, Tiputa is an excellent catamaran which can provide all the little luxurious necessary for and unforgettable charter vacation. Tiputa’s large airy saloon offers unrivalled space and a full panoramic view of the idyllic scenery and includes a bar as well as two lounging areas one of which can be used as a formal inside dining area. 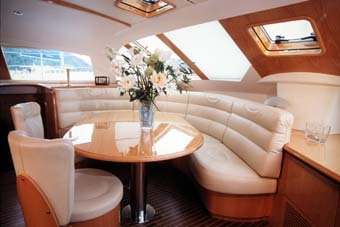 Tiputa’s large cockpit offers plenty of space for lounging and is also perfect for alfresco dinners. 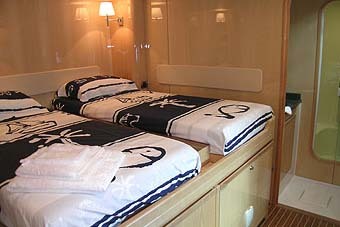 As well as the cockpit there is also an ample but simple, uncluttered deck space with large sunbathing and relaxing areas. 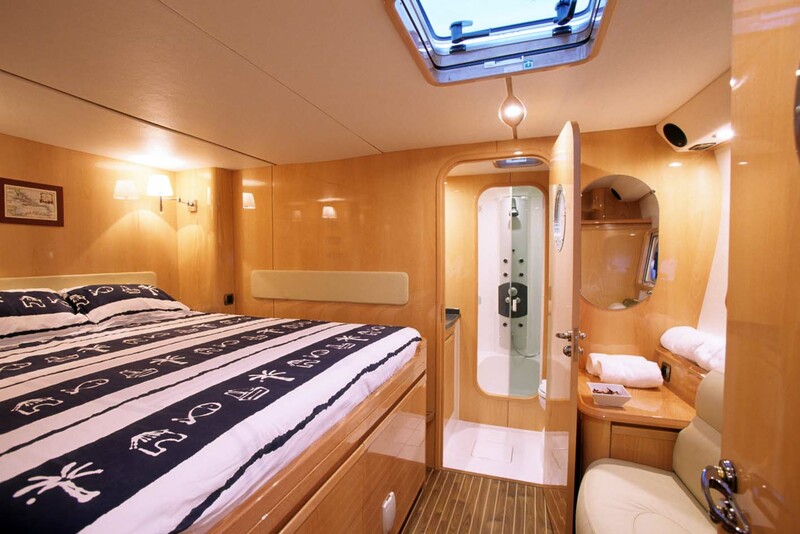 She has two generous and practical aft swimming platforms which are offer easy boarding whether you are in port or at anchor, they are also the perfect launch pads for swimming or diving. 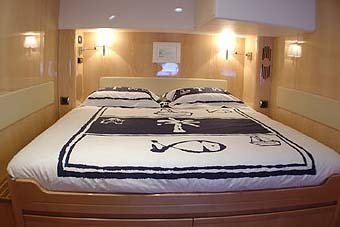 Included in the charter price is: full board for 8 guests & crew, fuel and gourmet provisioning, crew services, standard bar drinks, use of all leisure & equipment aboard for 8 days and seven nights. 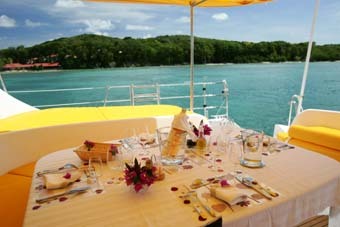 Her professional crew are trained to the highest level and will be on hand throughout the charter to cater for guests every whim. 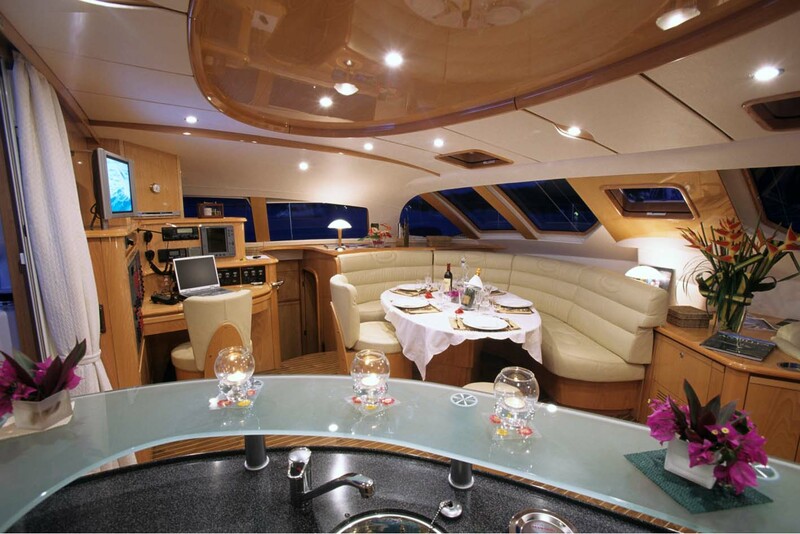 The charter price excludes special requests such as champagne, fine wines…etc, air fares & transfer airport/yacht/airport, other marina expenses, the use of communication aboard and crew gratuities. 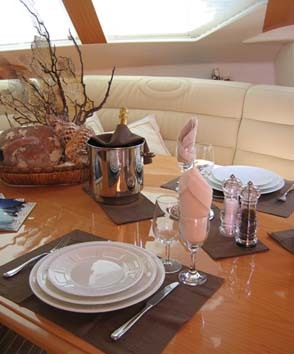 DISCOUNTS APPLY TO CHARTERS WITH LESS THAN 8 GUESTS - Please enquire. Prices are based in USD for US residents only. European clients will be charged in Euro.